Trade shows are an excellent way to create awareness for your brand, but are you maximizing the experience? Although you may benefit from the throngs of people walking past your booth, you could be creating more of an impact and possible future customers. In a sense, the trade show is like creating hundreds of first impressions in the span of a weekend. How can you make your brand more memorable when these people leave the show? First, you need a display in your booth that grabs the attention of those walking by. It needs to have flare while offering basic information about your brand. These can be as small as a brief case or as large as the booth itself. Remember, you’re trying to impress these individuals and providing a display that can “wow” the masses could get them to your area. For outdoor expos and shows, tents and flags depicting your brand could be quite an attraction for your target audience as well. When you hand out pamphlets and flyers at trade shows, a large portion of them are probably going to wind up littering the parking lot. Providing information about your brand within these folding pieces of paper is good, but giving the person a reason to keep it is better. Instead of just highlighting your business, add coupons or online discount codes to the back. By letting the people know they can get something discounted or even free by saving the coupon, you may find less of your flyers in the dumpster at the end of the show. It’s a style of marketing that has worked well for many businesses. This will also provide you with information about how effective the show was by dividing the number of printed flyers by the number of individuals using the coupon. Free stuff can attract many people to your booth. In many cases, they may not even be interest in what your business does. As long as something is free, they’ll show up in droves. If you offer freebies that people can use, you can create a deeper connection to your brand than by giving away stuff that may not be practical. For instance, give out flash drives with your company logo and information if you own a computer repair shop. Coffee mugs can be effective as well for its a product that could have regular use. The purpose of the trade show is to get your business noticed or to unveil new products. Standing around looking bored or eating isn’t going to help your cause. Those working the booth need to be energetic and interactive with every person that walks by. They need to be approachable and not overly aggressive or intimidating. Keep the flow of energy going if you want to attract visitors. 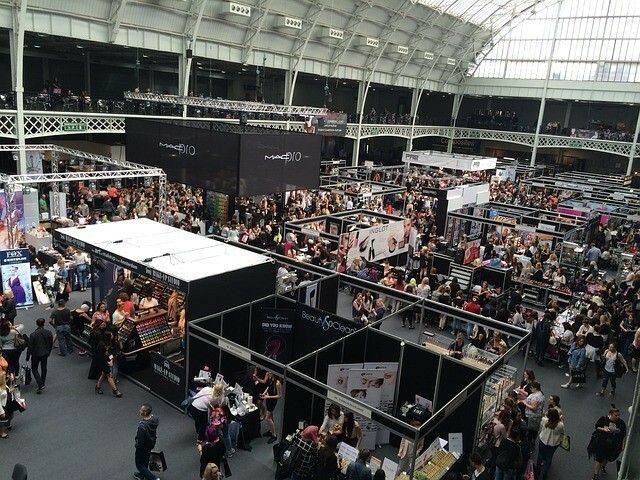 Trade shows can be one of the most effective methods of marketing your brand to the local community. It’s a matter of impressing visitors while offering information that people can use. Don’t assume that visitors will want to ask you what your company is about. You need to be proactive in educating the masses about your business.